When this woman touched Jesus' garment He told her that it was her faith that made her well. It wasn't anything that she could do on her own, but her faith in Jesus Christ. The word "faith" is tossed around so much these days. Faith in what or who is what really matters though. In discussing this story with an individual he told me that this woman was healed because she had faith in herself, but that is not the case. It was her faith in Jesus Christ. Only Christ could heal her and it was her belief in Him that unlocked that healing power. Jesus can solve your issues. He is all you need. 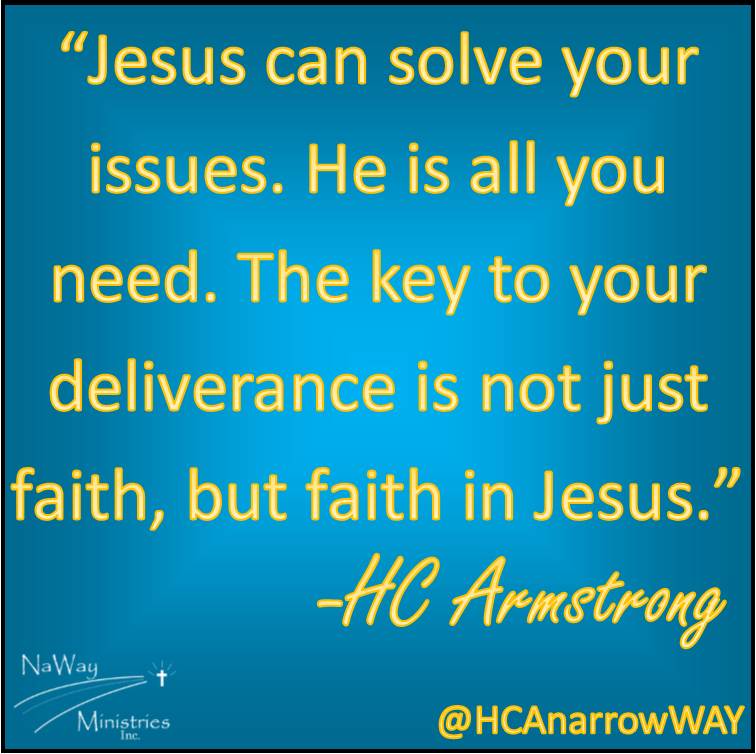 The key to your deliverance is not just faith, but faith in Jesus. Faith in your intelligence is not enough. Faith in your bank account will not work. Faith in your talents and abilities will leave you disappointed. Trusting and believing in Christ's power is all you need for your issues to be resolved. The same faith that you had when you trusted in Christ as Savior is the same faith that will deliver you from your issues!